Shia LeBeouf plays Jerry Shaw... in the start his twin brother dies.... After his twin brother Ethan (also played by LeBeouf in an uncredited role lolz ) suddenly dies, weird things start happening to him (lolz those were definitly weird and does creep u out) ..... When he goes to the ATM, more than $700,000 appears in his account.... (this was pretty cool though) .... Suspicious packages arrive at his apartment including weapons, military plans, and explosives. He gets a phone call from an unknown woman telling him that the FBI is about to arrive. After he's arrested, the same mysterious voice tells him to duck a seemingly freak crane accident... one that allows him to escape.... oh man i just loved the way they made him escape ;) !! 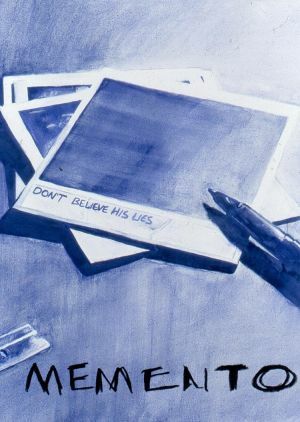 As you may have heard by now, the acclaimed thriller 'Memento' is the story of a man with no short-term memory, told entirely backward.The man, Leonard Shelby (Guy Pearce), wants to find out who raped and murdered his wife (a genuine moto :p )... the same incident that made him a widower (nice word lolz) also gave him head trauma that left him unable to form new memories -- he can remember everything up to the event, but everything after that eludes his grasp, to the point where he has turned his whole body into a tattooed Post-It note of reminders ("John G. raped and murdered my wife," reads one message written on his chest -- backwards, so that he can read it in the mirror every time he shaves, which he also has to remind himself to do). You know Shia-he used to star in a child's programme called Even Stevens and I always remember him to be that little crazy kid from that tv show.When I watched him in Constantine it felt like it was so out of context having him in that role. I guess I have this tendency of remembering actors in the very first film I ever watch them in. 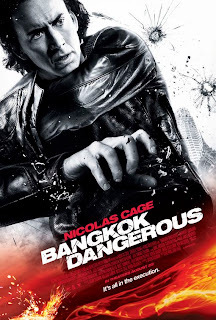 These films all sound so interesting, I'm not too keen on Cage, his voice actually annoys me loads! 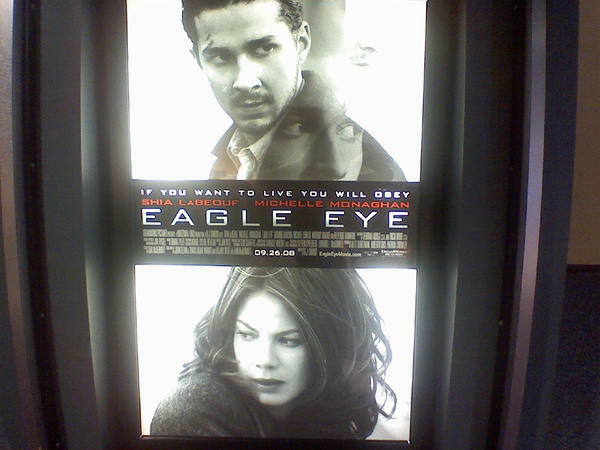 Eagle Eye sounds interesting though.Might check that out, d'you watch them online?Or rent out the DVDs? Think I'll just look online for these films and take advantage of those sites!